If I had to pick one book that’s been important to me…well, I’d have to stop and think for a while! I love to read and re-read stacks of books. But there’s one book that holds an extra-special place in my little heart, and that’s the Harry Potter series. 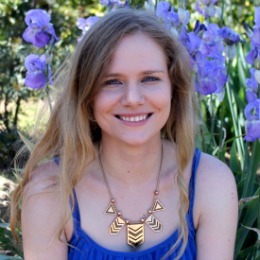 I know that’s nothing revolutionary – lots of my fellow millennials share my love for all things Hogwarts! That’s because it really does feel like I grew up with Harry, in a way. I remember my first contact with the books. A family friend sent us copies of the only two in the series at the time – British editions, as the books hadn’t come out in the U.S. yet. At age 9, I was instantly transfixed. When Harry stayed up late to sneakily read his schoolbooks under his covers at night, I was stealing glances at pages under my desk at school. As Harry grew up and got all teen-angsty in the fifth book, I barely even registered his out-of-control moodiness. I was 14, Harry was 15. Reading it again as I got older, I gained a little perspective, and realized we were both going through a pretty angsty phase. (Luckily, both of us eventually grew out of it). The final book in the series came out the summer after I graduated high school, when my group of friends and I were newly turned 18 year olds. The story came to an end right as we were about to take our first steps as adults. It felt very fitting, and very special. (And yes, I cried a little bit when it was over!). 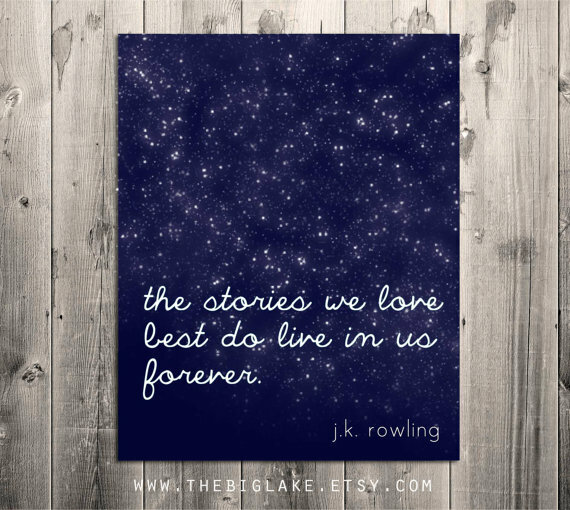 So that’s why, as cheesy as it is, the Harry Potter books hold such a special place in my heart. Having said all that, I’m still not the type of person who would choose to go on a Harry Potter tour of the U.K. Still, on my most recent trip to the U.K., I somehow found myself in lots of places that had something to do with the magical tale. I promise – we didn’t plan to do a Harry Potter trip in any way, shape, or form! Edinburgh, Scotland is full of places that reference Harry Potter. But there’s one place that’s deemed itself “The Birthplace of Harry Potter” – the Elephant House, a bright red café with a cozy interior. Walking past, I couldn’t stand not to go in for a pot of tea (and a piece of cake). It was just so inviting on a grey Edinburgh day. The café is just as nice inside as it promises from the outside. The huge windows that line the back wall of the café give you incredible views of the city’s castle. It’s filled with elephant decorations, from elephant-shaped chairs to tiny elephant statues standing on the shelf above the menu. Apart from the big sign in the window declaring the café The Birthplace, you would never know that this is a place that Potter fans flock to. Well, that is, until you head into the bathroom. 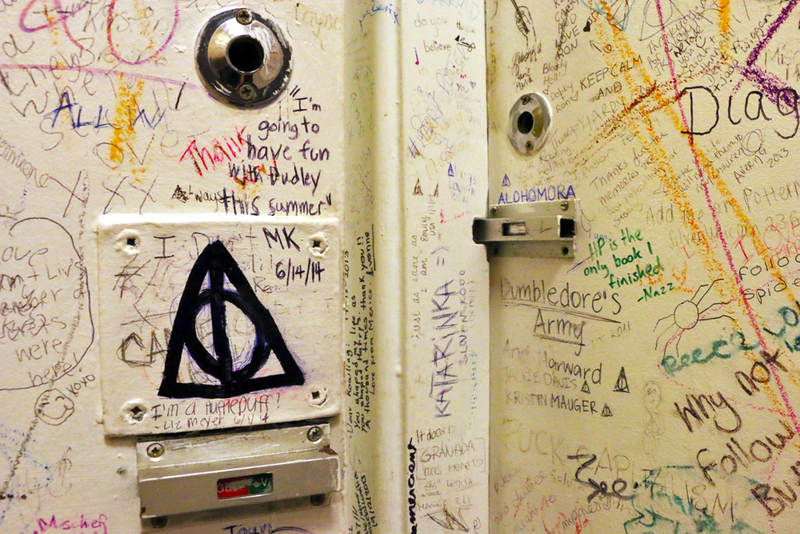 Every inch of the bathroom is covered in messages from fans from all over the world have left declaring their love for the series. People leave their favorite quotes, little inside jokes from the series, and long notes about how the books helped them through their darkest times. Sometimes they add which date they visited and where they were from. The dates and locations span years and years and miles and miles. 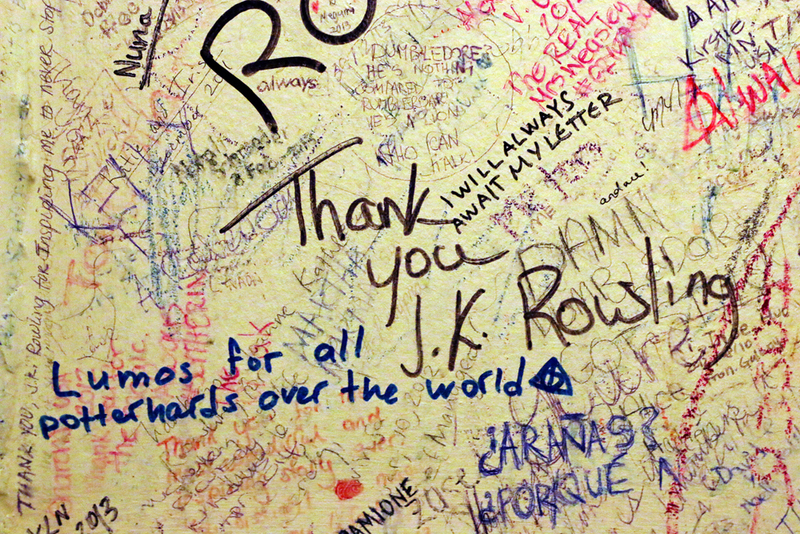 J.K. Rowling isn’t the only writer to have stopped by here to scribble. 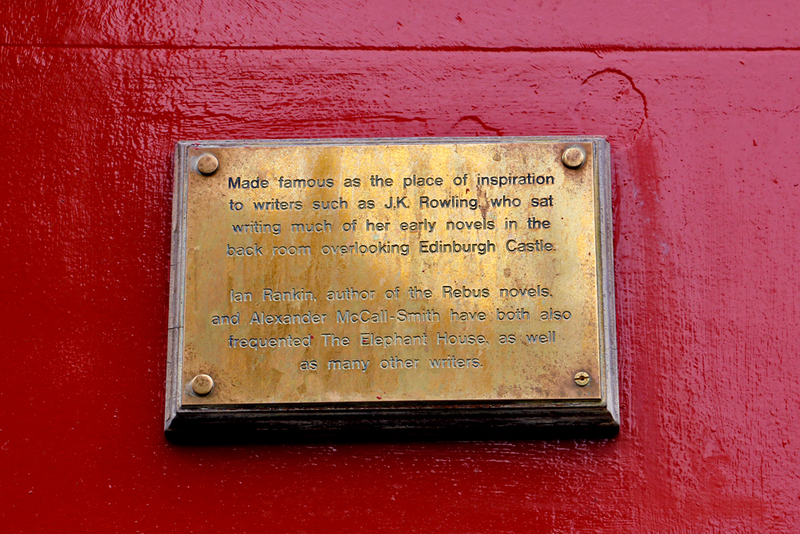 There are also dedications to Ian Rankin and Alexander McCall-Smith here too. Today, you’re probably more likely to see a 50+ person tour group walking by than the next big novelist – but you never know! 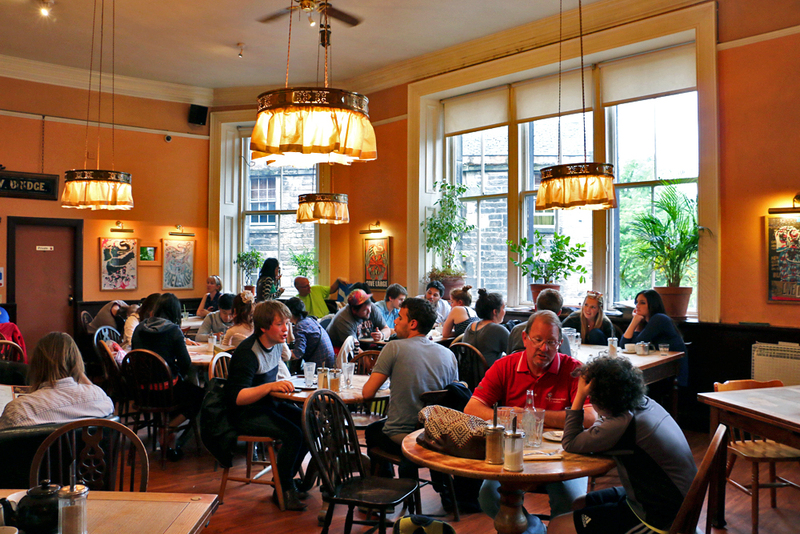 Nicolson’s Café is the other place that gets mentioned in pieces on where J.K. Rowling wrote the Harry Potter series. Unlike the Elephant House, Nicolson’s isn’t open any more (I tried to find out why, but couldn’t find anything on it online – anyone know?). But that’s not a reason not to visit. 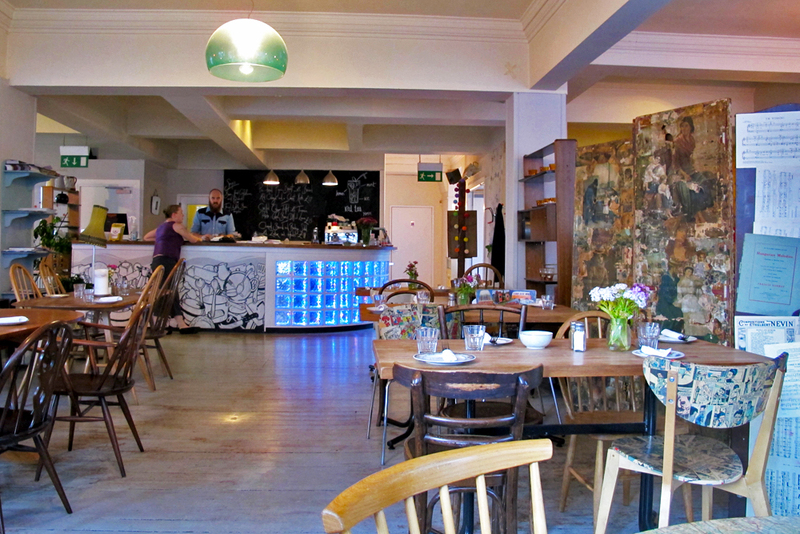 The place that was once Nicolson’s is now a very nice café called Spoon. It’s lovely and light, and serves great food atop tables decorated with old maps. Even though it’s not the same café that Rowling wrote at, this is such a cute little place to eat that it merits a trip, Potter fan or not! Another fun fact about J.K. Rowling’s writing – she did it in cafés to have a warm place to sit while her baby slept. Her baby’s name? Jessica! It made it feel extra-special to get books with my name in the dedication. Even though I knew they weren’t really dedicated to me, sometimes I’d pretend they were. (My sister’s name also shows up in the books, as a character in one of the later ones). The Harry Potter books are packed full of creative, unusual names. Of course, lots of them have deeper meanings that come from mythology and Latin, but other names come from another, more macabre source. Now, if you’re looking at the castle from the Elephant House, you’re also in the right place to quite literally see the source of some of these names. You could easily overlook a perfectly ordinary graveyard in favor of the impressive hillside castle that dominates the views. But that would mean you’d miss out on an interesting inspiration behind the books. If you walk through this graveyard, you can find some of the names used in the series marked on the gravestones. We spent a while searching through the stones to look for names, as well as admiring the beautiful stonework on some of the memorials. 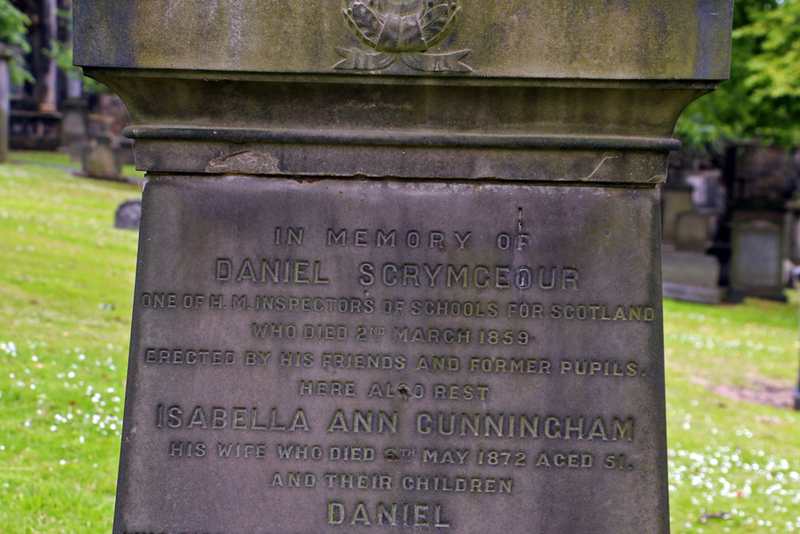 Eventually, we found three – Potter, McGonagall, and Scrymgeour (although that one is spelled differently in the books). Afterwards, I discovered that you can also find a Tom Riddle buried there, and I was very cross to have missed it! One of the nicest parts of the Harry Potter movies is seeing some of the most beautiful parts of Britain. 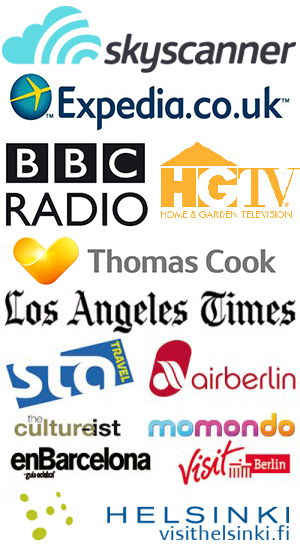 Of course, you could go to the studios in London, but there are so many spectacular real places that have been used as well. 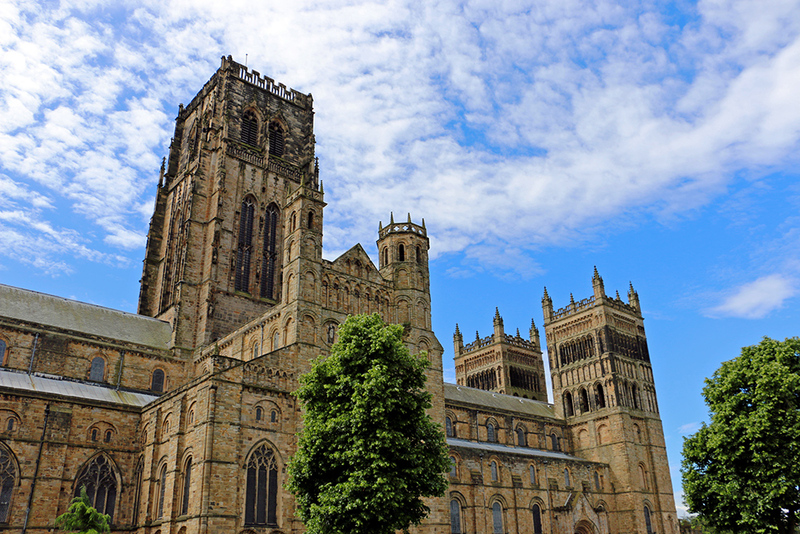 On our road trip down through the U.K., we made an overnight stop in Durham, England, a small city known for its university and cathedral. A few of the scenes in the Harry Potter movies were filmed in Durham Cathedral, including pretty ones (like when Harry steps out into the snow with Hedwig in the first movie) and silly ones (like when Ron burps up slugs after a curse goes wrong in the second one). We also took a tour of the university, the third oldest one in the UK. Durham students actually live inside the castle (much to the delight of the Anglophiles on the tour). The student guide told us that every year, they have a Harry Potter ball held in an underground chamber of the castle that’s got a lot of snake-like carvings – it’s decorated like the Chamber of Secrets for the ball, of course! The university even offered a class on Harry Potter (Harry Potter and the Age of Illusion) this past academic year. Both the castle and the cathedral are UNESCO World Heritage Sites, and yet again, even if you’re not a Harry Potter fan, this is a really lovely little place to visit, especially if you get lucky with the weather like we did! Like I mentioned above, there are loads more of pretty places in the U.K. related to the Harry Potter movies and books, so this is by no means an extensive list! I’m fairly sure you could spend a lifetime touring around the U.K. just visiting places used in the Harry Potter movies. Buzzfeed: The “Harry Potter” Guide to the U.K.
Have you ever visited real-life book locations on a trip? What about realizing that your trip accidentally has a theme? And of course – what’s the book that’s most affected your life? NextWho Knew You Could Go Wine Tasting in a Castle? Great article. I conduct walks through Edinburgh that takes in old Potter and JK Rowling places of interest, including her old addresses. Oh cool! 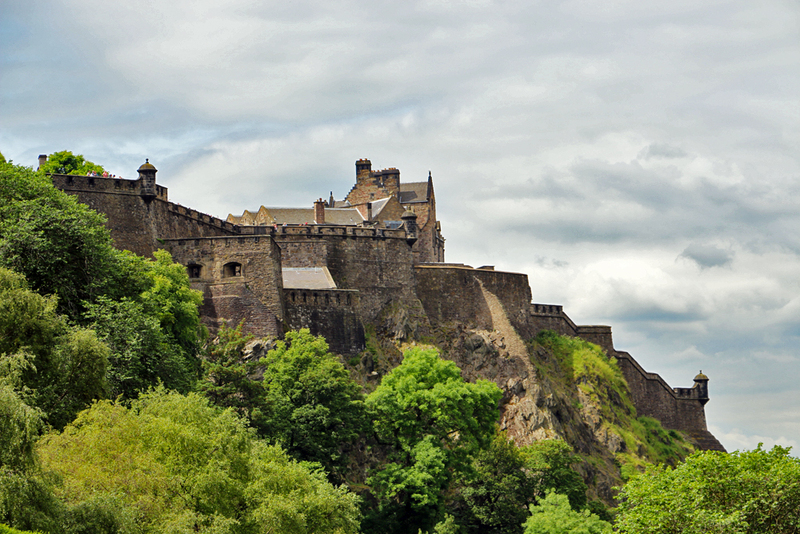 It seems like there are so many places you could visit in Edinburgh that are somehow related to Harry Potter. Has it really been so many years since the series came out? I was one of those who would line up to buy the book, stay up all night to read it, and re-read it the night before seeing the movie! It’s one of the books that reminds me of growing up. So much of a freak, in fact, that I went to Portugal to see Part 1 of the last book in English! Yup, the last book came out in 2007! Isn’t that crazy? 7. YEARS. I loved waiting in line at midnight to get the books. I would totally have gone on a special trip to see the movies in English too haha. Durham is a lovely place. Kings Cross Station has a newer Harry Potter area since they finished rebuilding it. I’m in Edinburgh on Friday (have business nearby) and might be popping into the famous pub where Ian Rankin / Rebus drinks – been before as nice pub with good beer. I really liked Durham too! I’ve not been to the new King’s Cross, but I’ve seen thousands of pictures of people posing with Platform 9 3/4. What a fun adventure, I completely appreciate this as a total bookworm. It’s amazing that you can walk to a place where so many people’s favorite stories and characters were literally penned down. Love this! I know a few friends who will love to read your article. This is a great take on travel! I’ve never thought much of looking into travel places and relating them to a book or movie. Maybe I’ll have to do it one day soon. Thank you! This was actually purely on accident, but it’s definitely a fun way to travel. Wow! It’s shame but I’m just starting to read Harry Potter books! hahah. We were in Edinburgh too and you can feel that vibe!! Ohh enjoy them! 🙂 Yeah, Edinburgh has a kind of magical quality to it. There are all those ghost legends too! It’s very atmospheric. A really fun read for a fellow Potter fan! You did a great job, and made me want to go on my very own Harry Potter tours of the UK one day! Love the description quote of Hogwarts and can just imagine J.K Rowling sitting and looking out over Edinburg castle as she wrote it. Great photos as well! Thank you! 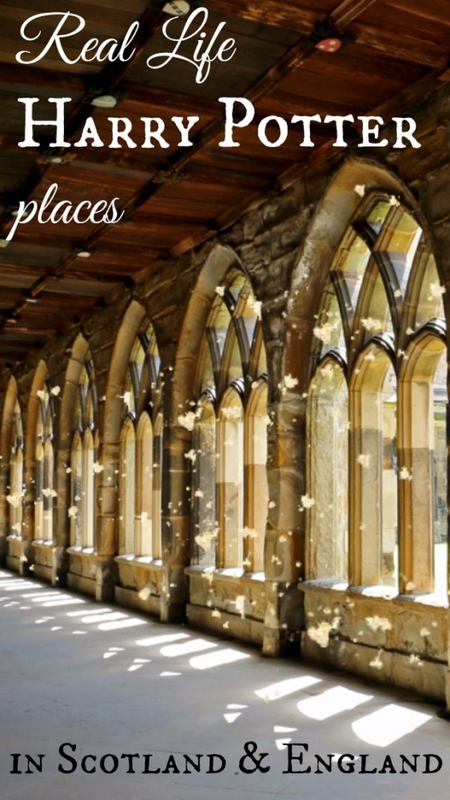 There are so many places you could visit in the UK that have something to do with Harry Potter. My tour was actually just coincidence! Such a nice post about good memories. I loved the pictures from the bath room with all the scribles. I have also done a book trip. Following the pats of Antoine de Saint-Exupery in Morocco, going all the way down to Tarfaya. If you love litterature I am certain that you will do a book trip at least once in your life! Thank you! The bathroom is even more incredible in person. Your Morocco trip sounds amazing! It’s so much fun to do a literature-inspired trip. I loved this post! I went on a mini Harry Potter pilgrimage when I visited Porto over Semana Santa this year and enjoyed finding all the JK Rowling connections I could, but obviously the UK takes the cake for inspirations and filming locations. 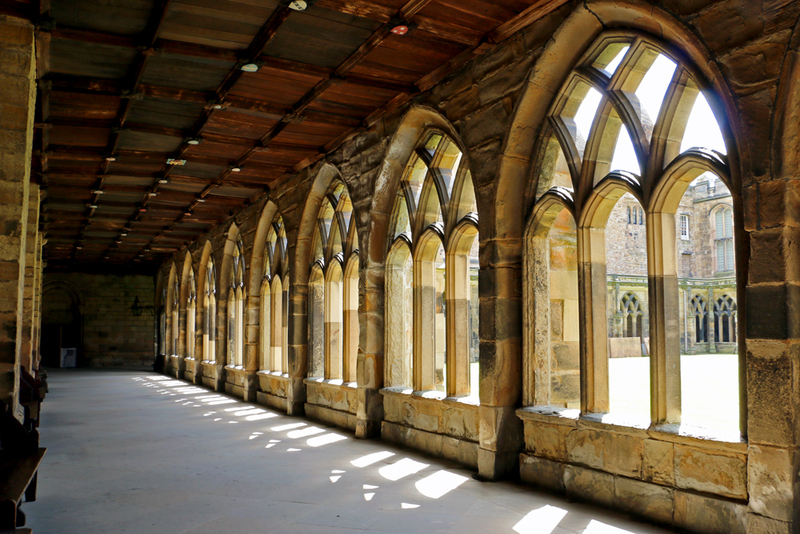 Those cloisters in Durham Cathedral look really familiar…but I want to visit the glorious stained glass, fan-vaulted cloisters of Gloucester Cathedral someday, which were also used in the movies. Thanks, Trevor! Haha I’m glad I’m not the only one who’s gone on a little Potter pilgrimage. 🙂 I’d love to go to Gloucester Cathedral too, I don’t think I’ve ever been. Amazing, I’m dying to get to Alnwick Castle, which I might attempt next year when my parents are on holiday. Take a drive up north with the dog in tow, it sounds amazing! I definitely want to visit the Elephant House cafe now, too, I didn’t before because of the sign announcing that it’s the birth place, but because of the toilets I might have to and… decorate, too. Also, that dedication is for you. 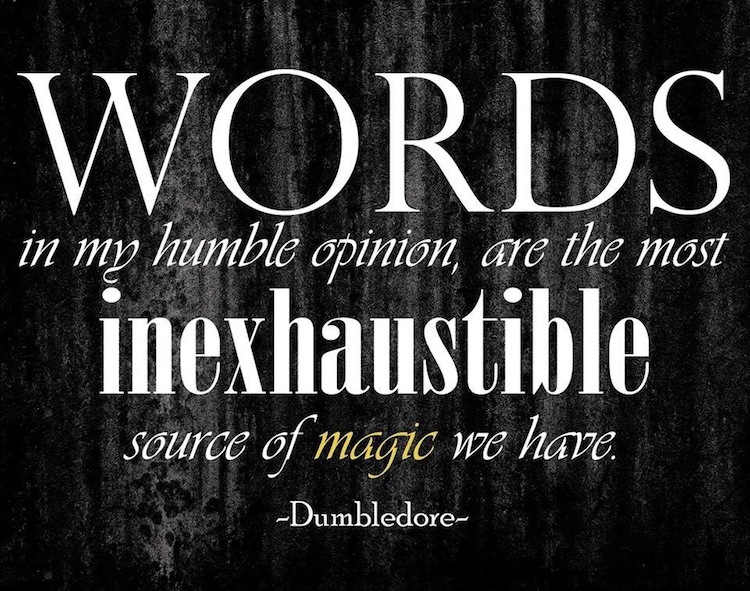 J. K. Rowling would definitely tell you so if you met her. I love following her on twitter and seeing the things she says particularly the wordy anagrams and things to do with Fantastic Beasts, which I’m so excited about. Omg i got to go to Scotland! J.K.Rowling also inspired herself on a lot of features of Porto, including the black capes portuguese students traditionally use. But to actually be on the real filming locations would be so cool! It was really cool! There are SO many filming spots around the U.K., and the ones I’ve been to have all been really pretty (Potter fan or not). I’ve been to Edinburgh and I walked past the Elephant House though I didn’t go in. I would like to see more Harry Potter locations in the UK someday. I was one of the first people in my group of friends to start reading the book and like you, I related to the books so well because I was the exact age as Harry was in the first book (eleven) and grew up along with him. Now you’ve made me want to reread all the books! My parents recently went to Prince Edward Island which as we know is famous for one thing only–Anne of Green Gables! My mom took pictures of the places that inspired places in the books written by LM Montgomery since she loved the books as a kid. I was so jealous and mad I didn’t get to go. Thanks for this little tour of HP spots. 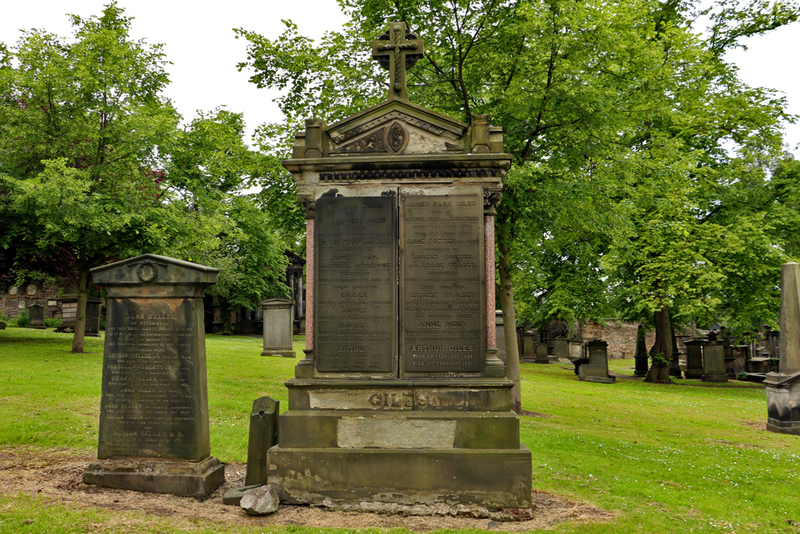 Question: Is the cemetery near The Elephant House that you mention the Greyfriars Kirkyard? I want to get it on my list of things to see in Edinburgh. Thanks.